If you are following me on Instagram you may have noticed some recent seaside photos without any water in sight. 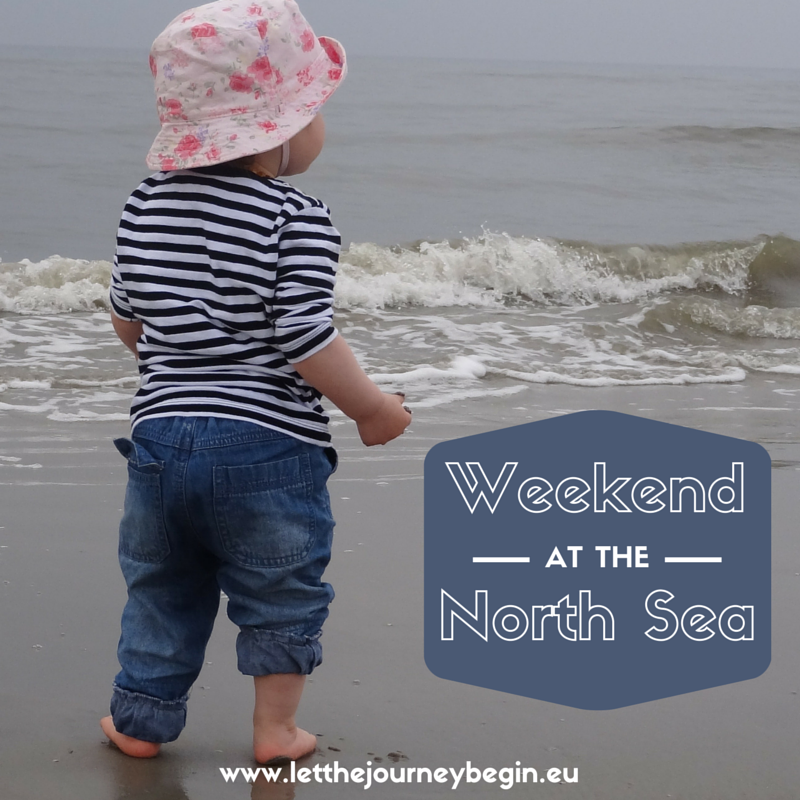 Birdy’s grandparents from Latvia were visiting and we made a weekend trip to the German North Sea. A big point on our to-do list was hiking on the mudflats during the low tide (known in German as wattwandern). You see, those of us who have grown up by the tide-less Baltic Sea are fascinated by the changing water levels. And the mudflats left by the tides on the North Sea coast – aka the Wadden Sea – are pretty amazing: the low tide uncovers some 10 000 square kilometers of land and even makes it possible to walk to some of the islands. 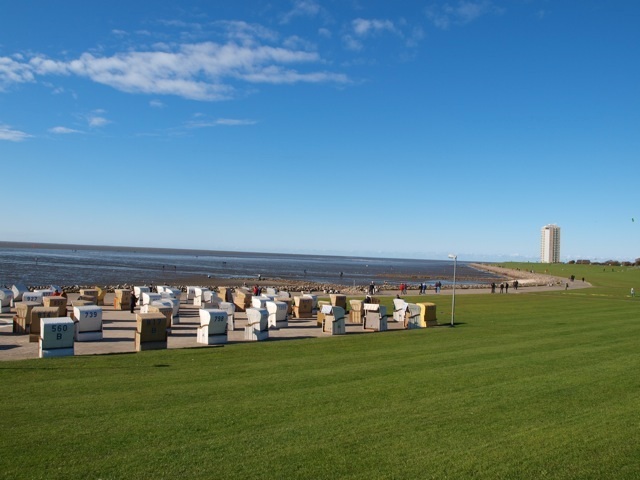 We missed the low tide on our first day in the seaside town of Büsum and spent some time enjoying the sunshine on the green beach and exploring the small streets instead. The Saturday morning dawned without any sun in sight and there were weather warnings of an oncoming storm but we did not let it stop us. The skies looked picturesquely grim but it was quite warm, the water around our bare feet had the same temperature as the air. It was still two hours until the high point of the low tide but we could already walk a good half kilometer into the Wadden Sea. I was quite surprised that the terrain was anything but flat, there were streams and rivers, and even fairly deep riverbeds. And the mudlfats were teeming with life. The beach was covered by little sand piles left by burrowing lugworms, there were mussels everywhere, and seagulls were hard at work to make a breakfast of the two. As the clouds parted a little and there was still no storm in sight we decided to risk and make a stop at Sankt-Peter-Ording, another nearby seaside village. Despite being only 40 kilometers away the beach here could not have been more different. While the beach of Büsum had high levees and green grass, in Sankt-Peter-Ording we encountered natural dunes and a wide sandy beach. Guess which one of the two beaches Birdy liked best! The little one was cautious to wander into the waves but had a blast running on the sand and made the most of the gigantic sandbox around her. Unfortunately the promised storm was finally catching up with us and we made our way to the car, reaching safety right as the first heavy raindrops began falling.